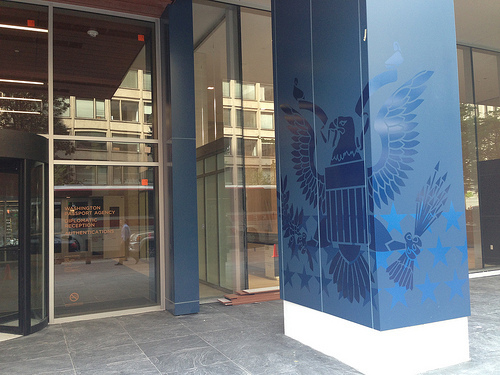 This is the new home of the passport agency on 19th street nw. Nice eagle seals on the columns, eh? Timeline: Where were FBI's vast spy powers after Boston warnings?